The Samsung Internet team will participate in Virtual Reality Evolution 2017. Join us the 16th of February, where Ada, Elite, Amir and myself will engage in a panel about WebVR and how it enables easier content production for all. The original article follows, and can be found here. Have we conquered VR? It seems to be everywhere. Yet it is nowhere. It might be a bold claim, but looking at last year’s trends in sales after the launch of the 3 big high-end headset manufacturers (HTC, Oculus, PlayStation), it appears that sales are stalling  or have not been as expected,. Putting aside the fact that nowadays VR is not necessarily the most accessible technology (because you need an additional piece of hardware to display it and because the most immersive experiences are very expensive for the average consumer), I can’t help being a bit worried that we are going in a similar direction that the industry went with stereoscopic 3D in recent years. The question of content for [Gear] VR. My concern lies in content. Specifically, in how we need to produce more content: More personal content, more relevant-for-the-user content. We need to break away from the traditional system where only third party commercial content is available, transforming our VR experiences in one-time disposable thrill. Don’t get me wrong, I am all in for the spooky experiences that you find in app stores but once you’ve seen them and put your friends and grandma to view them, their re-play value isn’t as big –just like your 3D Blurays sitting at home. We need to diversify the content. VR seems to be a synonym for shooters and scary experiences. With its immersive nature, VR is poised to be a revolution in learning experiences and artistic expression. As examples, we can cite BBC’s “The Turning Forrest ”, or Chris Milk’s “mind-bending” experiments with VR; experiences that dare to call VR “the ultimate empathy machine” . What if we could potentially bring this “ultimate empathy machine” to everyone that has access to a browser? On a positive note, we (from a consumer and developer perspective) are far better on the content production side for VR than we are for 3D. There are already available on the market more 360º consumer cameras than total number of 3D cameras a couple of years ago. Even without one, spherical pictures and stitching allow to compose this type of images. Headsets are easily available, either for sale or DIY ,. 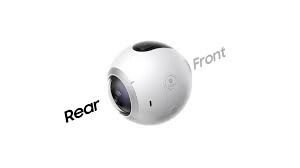 Cameras like the Gear 360 (pictured) and Ricoh Theta S capture everything around them. Another high note is that the development process for VR can be easy. Very easy. Piece-of-cake easy. We are talking about content that scales gracefully from just mobiles to high-end headsets. We are talking about an application that can be distributed by just sharing a link. We are talking about a site that can enable stereoscopic rendering for depth perception. We are talking about experiences that we can browse, like websites. We are talking about Virtual Reality gaining the abilities of the web. This results in two interesting scenarios. 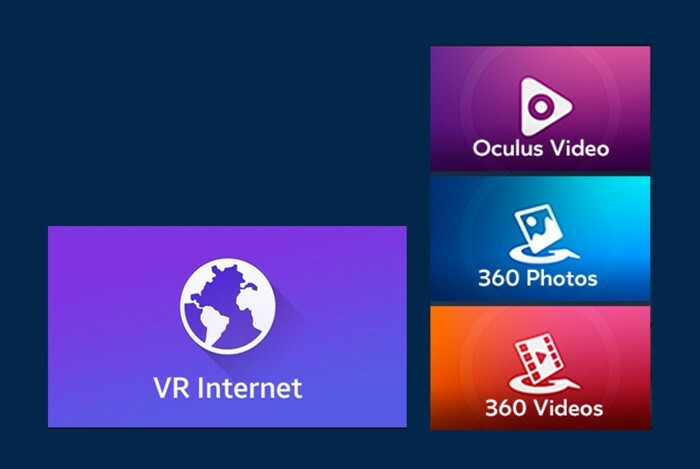 First it provides access to a vast number of developers and creative coders to jump into the VR wagon and create [new] content with minimal effort. This is relevant because it allows exactly the diversity of content we are looking for. It allows these more artistic expressions of the medium. Second, it begs the question as to how can we enhance [existing] content and flows of information with VR. VR can be used to give realistic size comparisons with different objects in Wikipedia, get a better insight of the space in that flat you want to buy, or give you an idea of the what will you see before buying those concert tickets. Just think about the possibilities! I invite you to get to know WebVR,,,, both the work going on around it and how it can be a compelling option to deliver your immersive experiences. It is a powerful tool that can easily bring diverse experiences and fill in content gaps by simply allowing a breath of experiences by removing complicated workflows and empowering content developers and users. Perhaps VR is still to be conquered. The market is still developing itself, it’s a great time to create content that runs on all devices. There’s much to be defined and while high-end headset sales might have slowed a bit, there are still millions of GearVR and Cardboard headsets available. It’s not late at all to start releasing content and strengthen VR, in a way that is open, accessible and hassle free. Thanks to @lady_ada_king and @poshaughnessy. Follow us at https://twitter.com/samsunginternet.